Since 2004, INDA and EDANA have been collaboratively working with the Wastewater Industry across the United States and in Europe in the shared objective of reducing the amount of non-flushable material in the wastewater stream. The labeling Code of Practice (2017) includes guidelines on when and how to use the ‘Do Not Flush’ symbol. For products that have a high likelihood of being flushed, but that are not designed to be flushed, the “Do Not Flush” symbol should appear clearly on the packaging as outlined in the labeling Code of Practice. We believe educating consumers on the proper disposal method for our products is one of the most important things we can do to help ensure that only those products designed and marketed to be disposed of via the toilet are flushed. This is why we created the labeling Code of Practice and the “Do Not Flush” symbol which accompany the Guidelines. 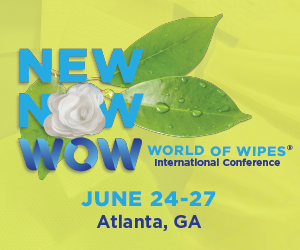 We developed the nonwovens industry’s first edition of the Guidelines for Assessing the Flushability of Nonwoven Disposable Products in 2008. Now, Edition Four of the Guidelines, in conjunction with the labeling Code of Practice (2017), provides the most comprehensive guidelines available for assessing flushability. We recognize that our industry, the habits and practices of individuals, and the needs of wastewater operators change over time, and therefore, Edition Four of the Guidelines is a living document. We gather feedback from all stakeholders and use it to review and update the Guidelines as needed. INDA and EDANA are committed to continuing to work collaboratively with wastewater practitioners around the world to help reduce the amount of non-flushable material in the wastewater stream. As an industry, we are also dedicated to continuous improvement in product performance to meet the needs of the consumer and the wastewater industry alike.